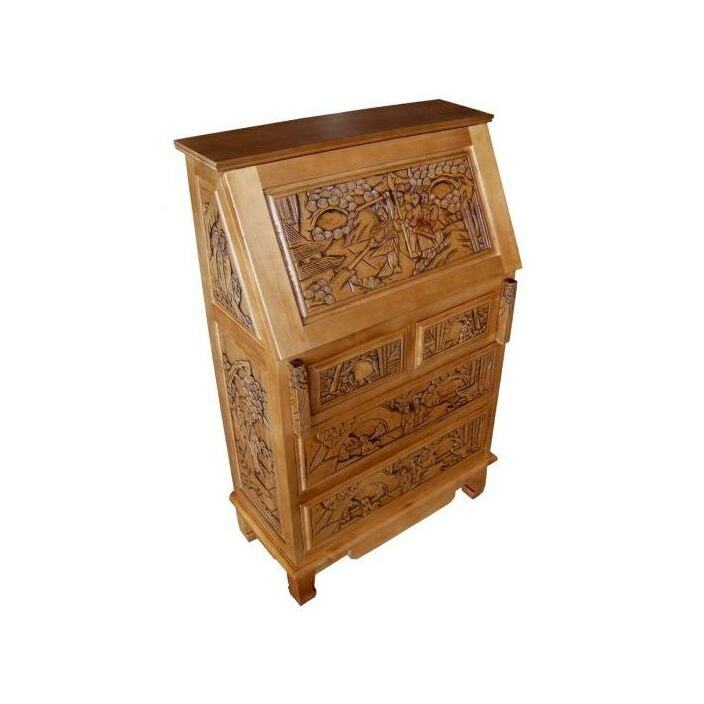 Our Bureau unit has been painstakingly handcarved from quality Lindenwood using skills and techniques that date back more than a thousand years. The carvings reflect much of the culture and history of the Chinese people. Our unit has four pull out drawers above this is a sectioned storage area which is hidden by a pull down shelf.